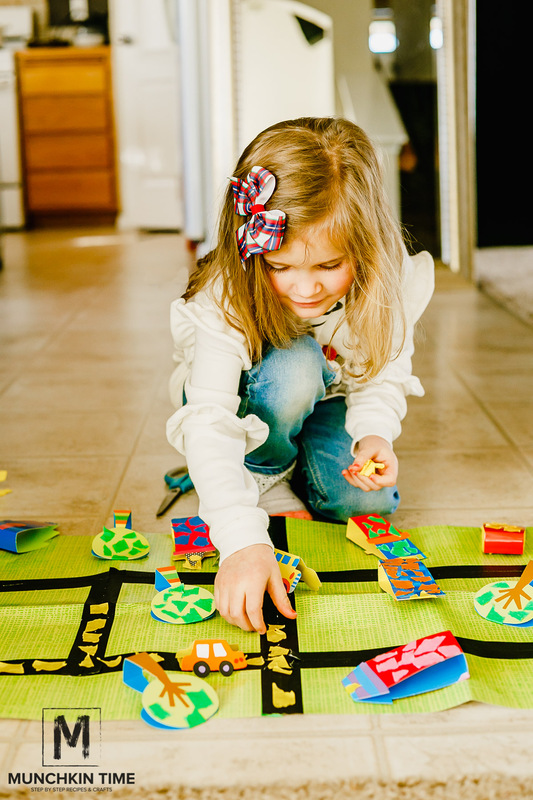 Are you looking for super fun indoor kids activity for your little creator? 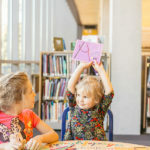 If YES, then you will love this amazing hands on indoor kids activity called “My Tape Town” by ALEX. 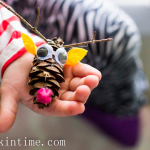 We got this super fun kids activity from Timberdoodle. 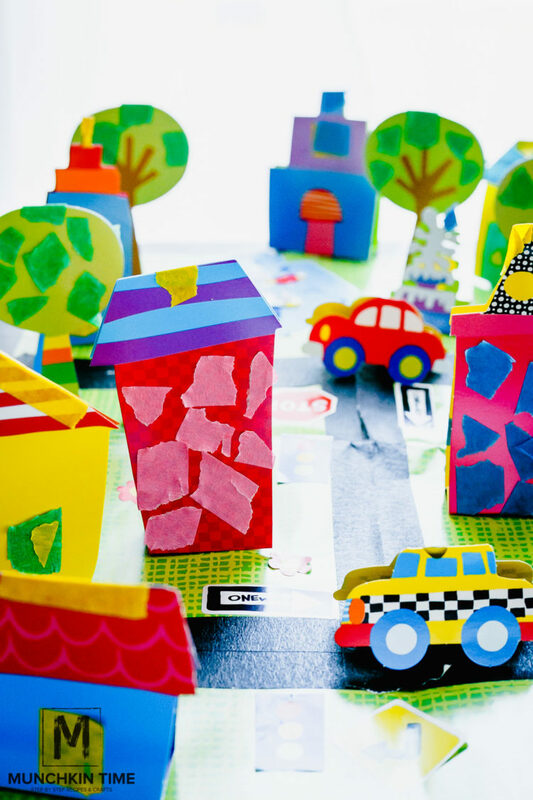 It is a 3-D city, made of colorful buildings, cars, stickers, flowers and trees. 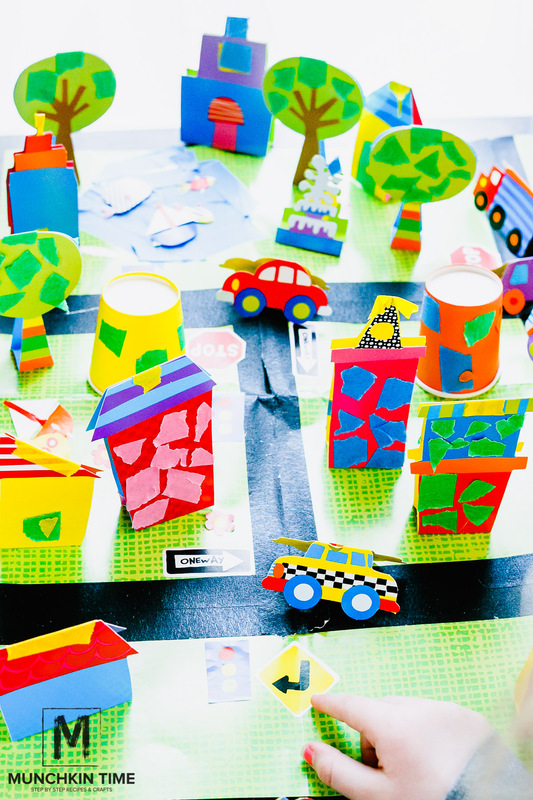 Inside My Tape Town box you will find 4 colorful cups, 6 different color tapes, instructions with colorful pictures, colorful houses, cars, stickers & a big green poster that young builder going to use to built the city. 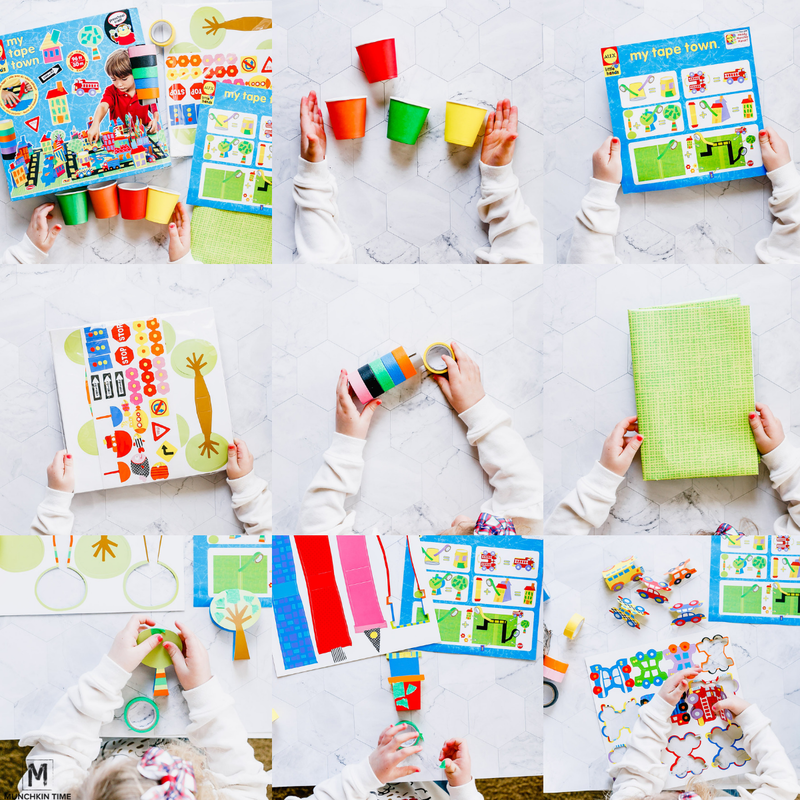 This fun indoor activity for kids inspire kids to get creative with colors, shapes & positioning the items. My daughter had so much fun picking a house and decorating it with a colorful tape of her choice. She enjoyed placing the road using black and yellow tape. Then placing traffic signs all over her beautifully crafted road. Adding blue tape to create a lake was her favorite. Another items that my daughter absolutely loved while building her city, were stickers!!! My Tape Town comes with beautiful stickers of traffic signs, fish, flowers & boats. The best part is sticking those cute stickers anywhere she wanted to place them. Via was so proud of her 3-D city creation & so was I. She had so much fun creating it and playing with your big sister. 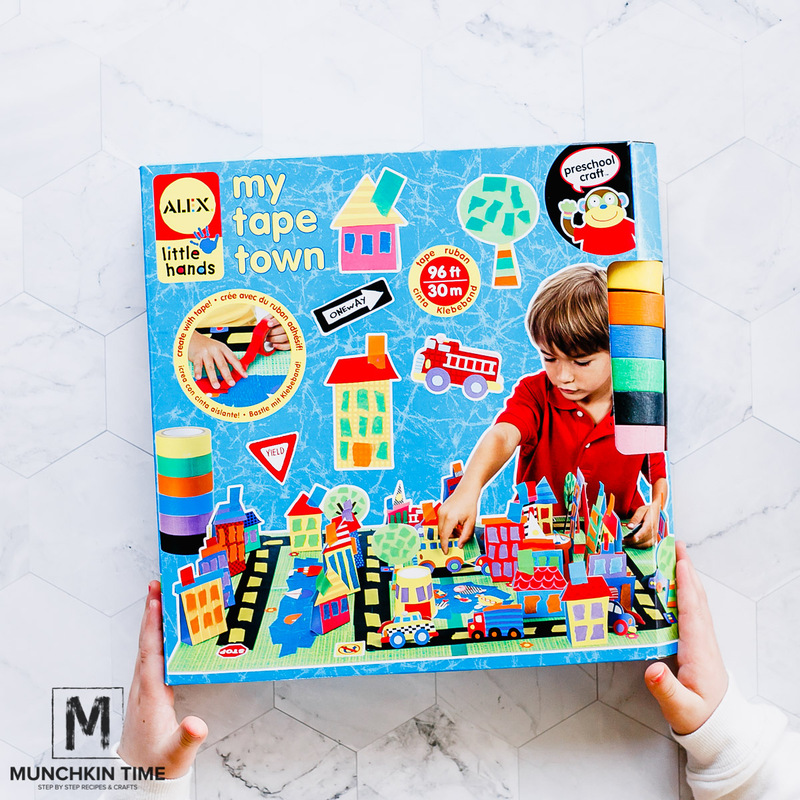 This indoor kids activity “My Tape Town” by ALEX is perfect for little hands and creative thinkers. 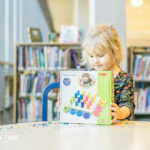 I would highly recommend this beautiful product, if you are looking for fun indoor activities for kids, from Timberdoodle’s 2018 Kindergarten Curriculum Kit! I hope you enjoyed this Timberdoodle Review! 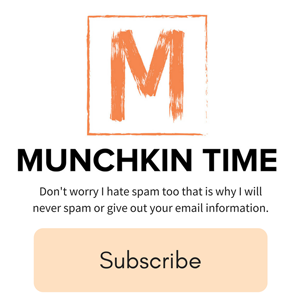 If you have any questions or a feedback about this product please let me know, I would love to hear from you! Huge Thank YOU goes to Timberdoodle for sending us this beautiful product to review! Thank YOU for YOUR Comment, Share & Review! This kit would be a perfect craft for our rainy winter here in WA ???? Our little guy would love this! He’s been super duper crafty lately. Makes something new everyday. this would be perfect for his Lego land creations! My daughter turns three in March and has a great artistic imagination. I know she would enjoy doing this with her little sister. Wow so awesome that they made a kit where kids get creative…. We use tape to build roads but this is a whole new level of fun that all 5 of my kiddos would love ???????? This looks so fun! My very crafty daughter would love love this! And im sure her brothers will want to join to! With me being so busy remodeling our house our kids get so bored so this would be perfect! 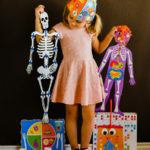 This would be such a fun project/projects to do with my kids. 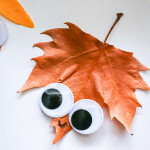 They love crafts so to win this, would be a treat! Yes, I agree! 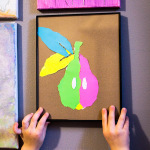 This project is perfect for crafty kids! 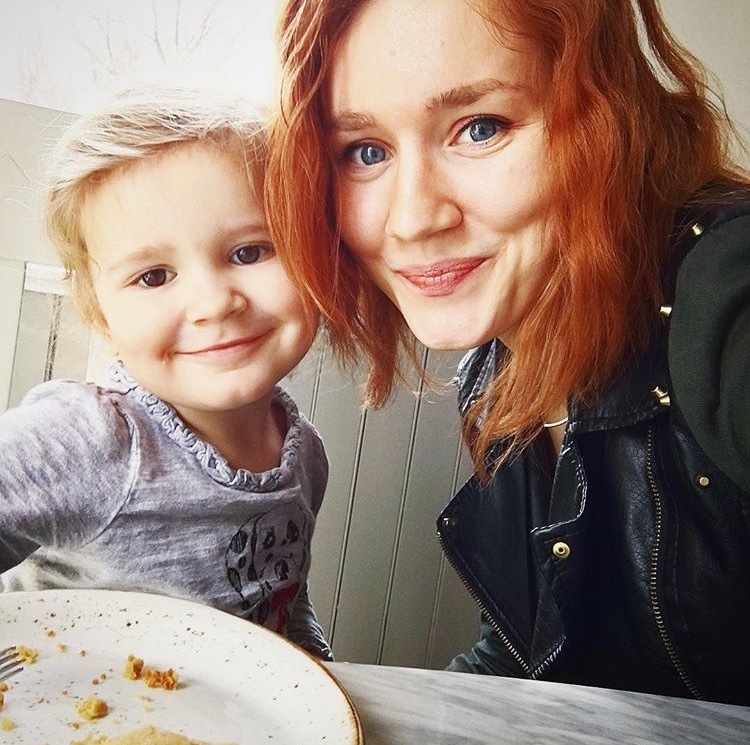 Thank you for entering & good luck mama!